Ok, you probably still have questions. 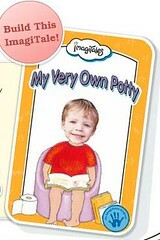 Imagitales.com allows you to customize your kid's books with THEIR photo. Making your child the star of his (or her) favorite books! Maybe this will help my niece finally master this diaper replacing task.